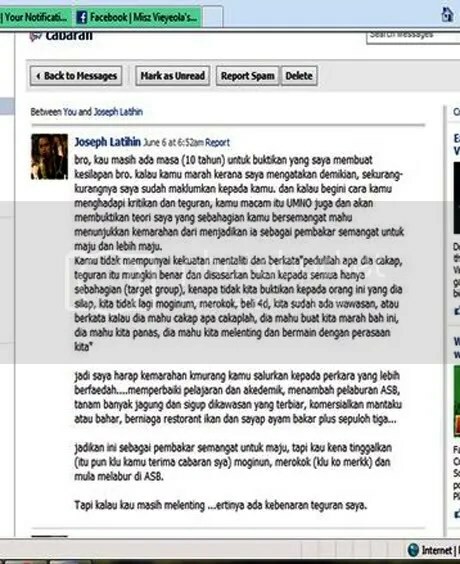 Someone informed me about this and it happens in Facebook the most powerful network community nowadays. 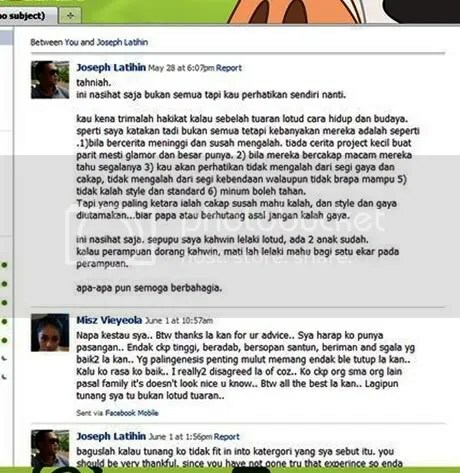 It is quite disappointed when somebody just said that we as Lotud talk so proud, talking like we know everything, etc. Why this happen in Sabah? 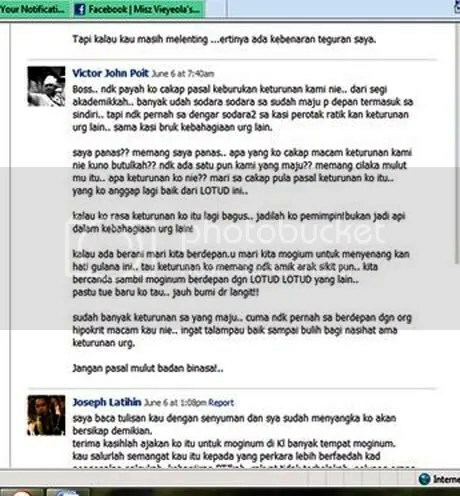 I thought Sabahan have the most tolerate people? Why so racism? Read all the conversation in 5 photos below. What say you? For me, Lotud has the heart of warrior. We protect our culture and tradition. 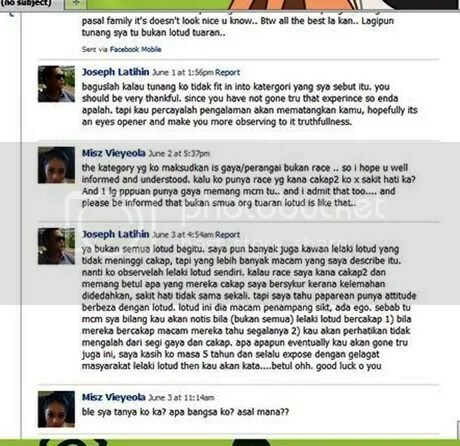 Tulah.. kin meradang ni.. sabar jak laa.. uhuhu..
Somebody jealous of lotud. Mari ketawakan dia wakakakaka, huhuhuhu, hahahah, heheheheh. Booh! !.